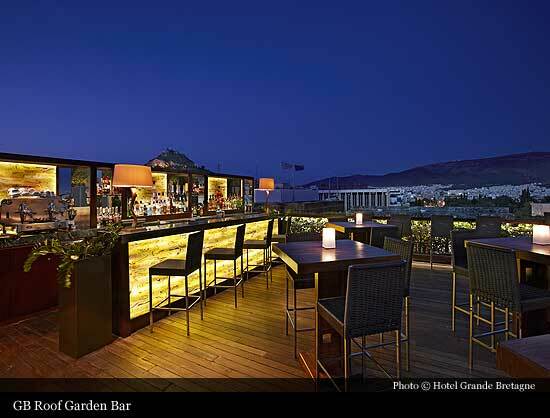 After the Ottoman fall in 1830, Athens began to attract a new type of visitor—wealthy Greeks from the “Diaspora” intent on reclaiming their ancestral heritage. 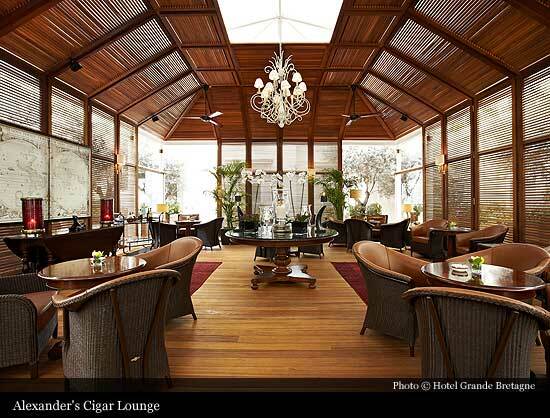 Among these, Antonis Dimitrios returned in 1842 to start a business. He acquired a plot of land opposite the Palace of King Otto and commissioned Athens’ first “Stadtpalais”—a majestic residence that reflected the refined city lifestyle enjoyed in London and Paris. 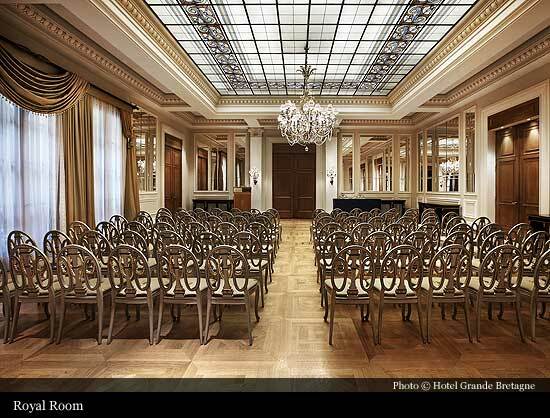 His impressive 90-room mansion was the first incarnation of today’s hotel. 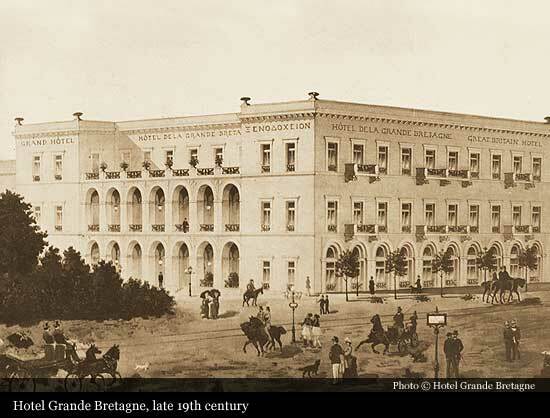 The hotelier Savvas Kentros purchased the former Dimitriou home with Efstathios Lampsas in 1874, and with a staggering loan of 800,000 drachmas, transformed it into the Hotel Grande Bretagne. 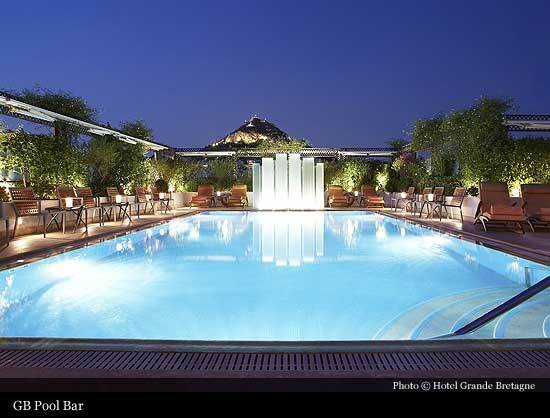 With its unprecedented opulence, the glittering hotel was heralded as Athens’ finest. 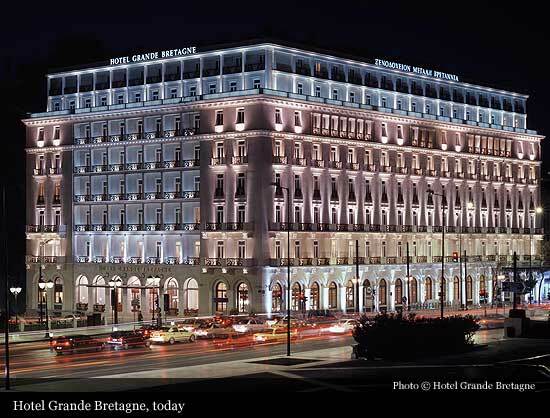 When Greece fell to Nazi occupation in 1941, the hotel was turned into headquarters of the Third Reich—with Hitler and Rommel residing here on the eve of the Soviet invasion. At the end of World War II, the unrest continued as civil war erupted between the communist resistance and the Greek Army. 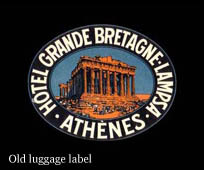 The Hotel Grande Bretagne housed scores of refugees for years, while hosting diplomatic negotiations between George Papandreou and the British delegation, most notably Winston Churchill. 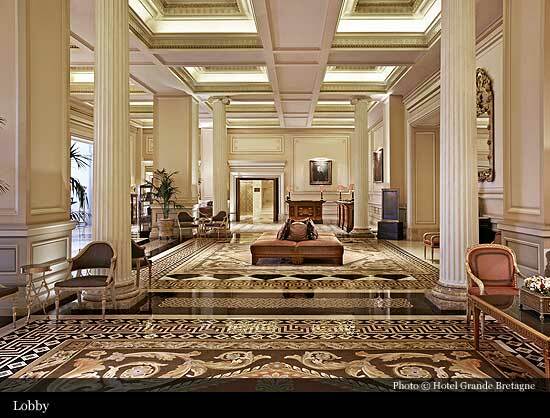 With peace finally restored in 1956, the hotel was able to re-open its doors to the world’s social, political, and economic elite. When the Junta of 1967 collapsed in 1974, Constantine Karamanlis spent four months forming a new government from his fifth floor suite. That same year, Archbishop Makarios addressed Greece from a second floor balcony after his near assassination and the Turkish invasion of Cyprus. 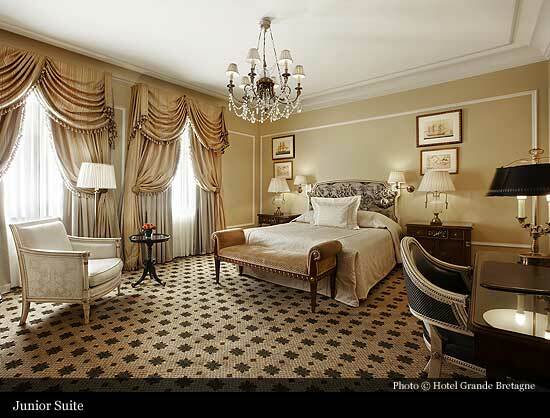 Given its rich history, it is no wonder that the list of royalty, heads of state, international business tycoons, and celebrities that have stayed at the Hotel Grande Bretagne is endless. 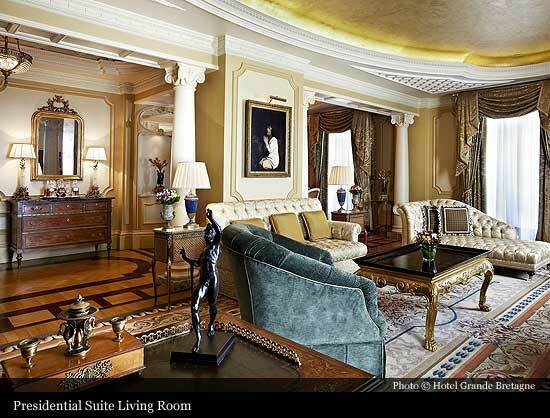 To name but a few, leading ladies Elizabeth Taylor, Sophia Loren, Maria Callas, and Brigitte Bardot all enjoyed regal treatment in the Royal Suite. 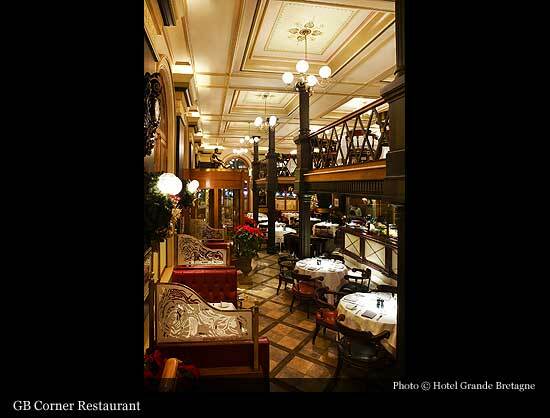 Hollywood icons Greta Garbo, Sean Connery, and Francis Ford Coppola have visited repeatedly, while music stars Sting, Bruce Springsteen, David Bowie, Jay-Z, and Jose Carreras have resided here while on tour. 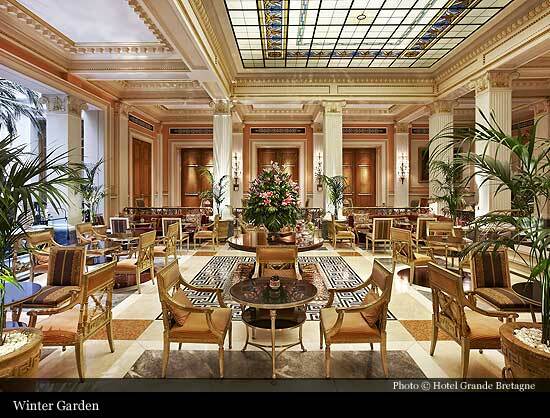 In 2003, with an investment of 82 million euro, the Hotel Grande Bretagne underwent a massive restoration and emerged as a state-of-the-art, five-star reincarnation of its former glory that continues to delight its guests with legendary hospitality and iconic style.